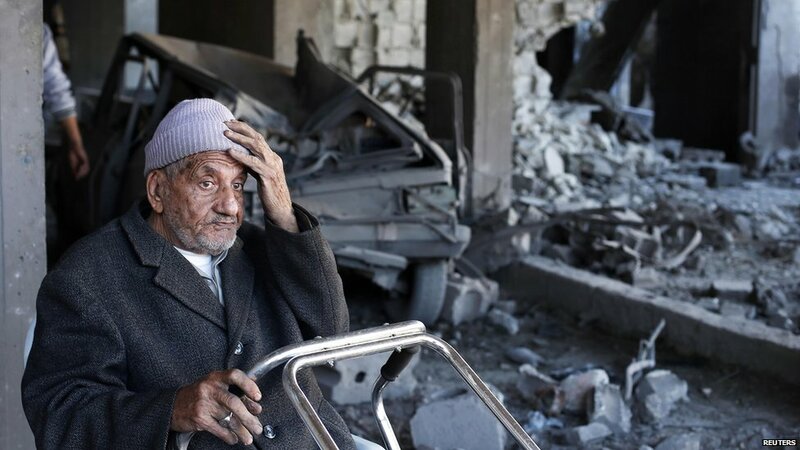 Violence has been escalating after Israel killed a top Hamas military commander in an air strike in Gaza on Wednesday. 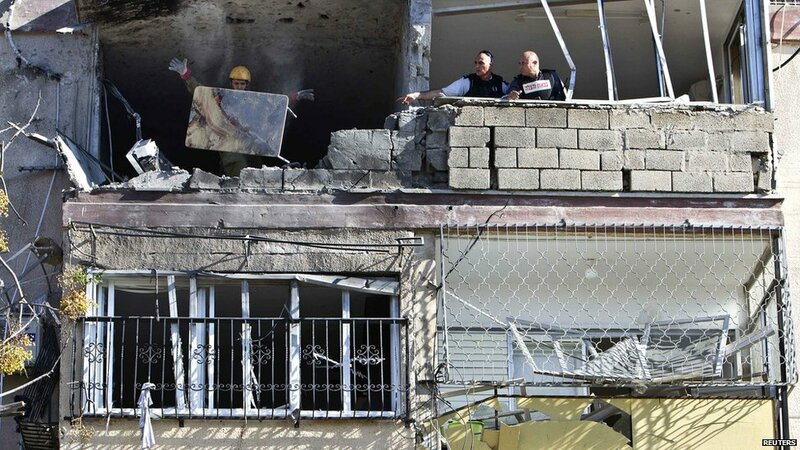 Smoke can here be seen billowing from a spot targeted by an Israeli air strike inside the Gaza Strip. 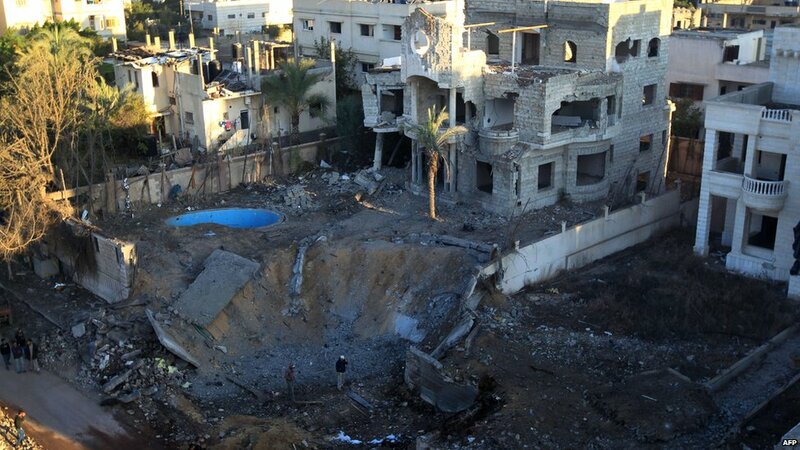 Israel has been exchanging fierce fire with Hamas, the Palestinian militant group, and is threatening a wider offensive in the Gaza Strip; here a crater shows an area targeted by an Israeli air strike in Gaza City. 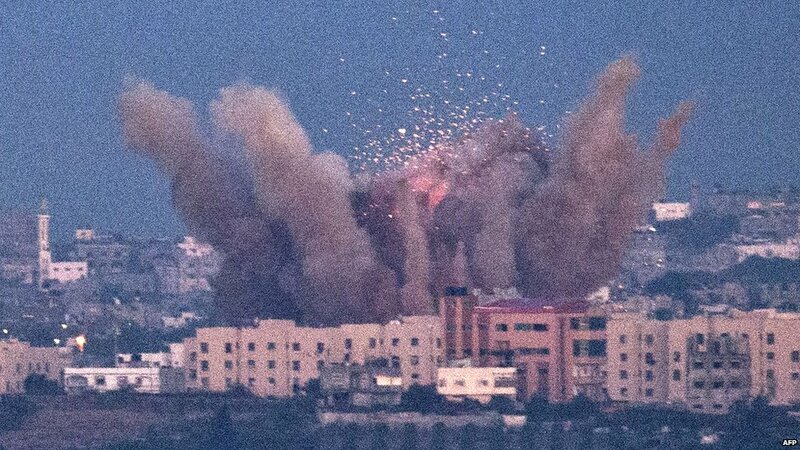 About 200 rockets have been fired into Israel since Wednesday, the Israeli army says. 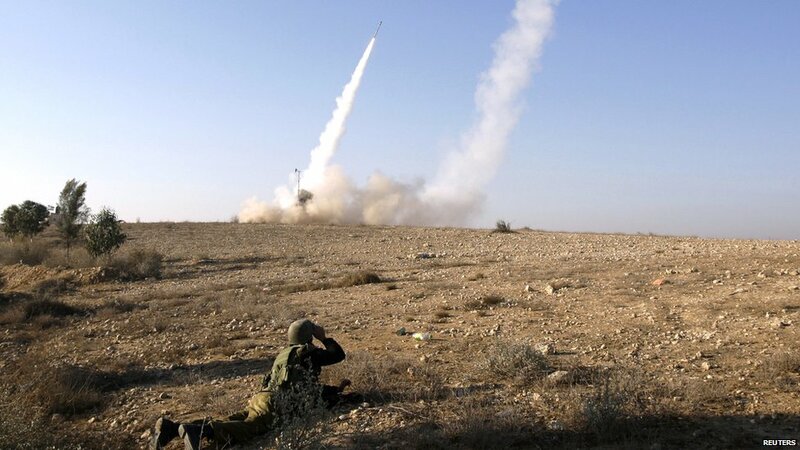 A rocket launched by Palestinian militants can be seen making its way from the northern Gaza Strip into Israel. 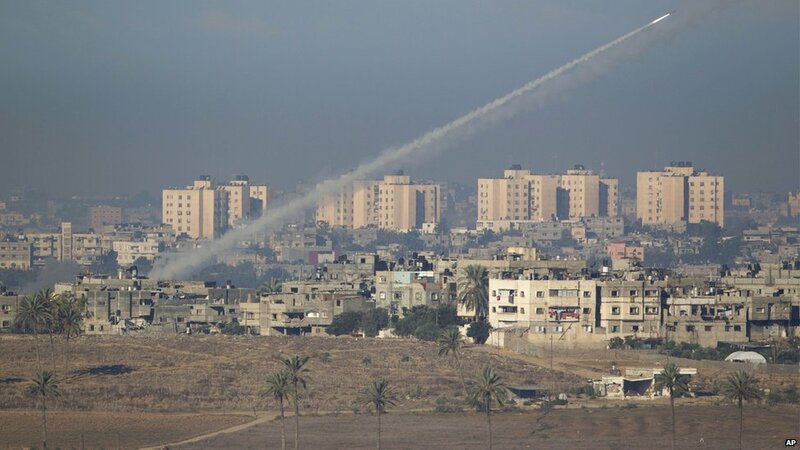 The Israeli army says 145 of those rockets have been destroyed by Israel's Iron Dome interceptor system, seen in action here. ... and an Israeli man takes cover as a siren sounds warning of incoming rockets in Ashdod. An Israeli soldier throws a blood-stained table out of a building where three Israelis were killed by a rocket fired from Gaza into the southern Israeli town of Kiryat Malachi.